Previously unpublished interviews with Burt Munro, legendary Kiwi motorcycle rider made famous in the movie The World's Fastest Indian. Colourful tales of a life well-lived. Invercargill, at the far southern end of New Zealand. It's the late 1960s and two blokes sit in a modest shed drinking tea. The old bloke is telling stories about his life; the young bloke, a junior reporter, is typing earnestly on his Olympia portable typewriter. Dramatic tales abound – of youthful scrapes, motorcycle races and ingenious repairs, of international travel and friendships and road trips, of high speeds and accidents and meetings with dutiful policemen. Burt Munro became known around the world through the 2005 movie The World's Fastest Indian, but had long been known to motorcycle fans as a colourful character and speed record-holder. 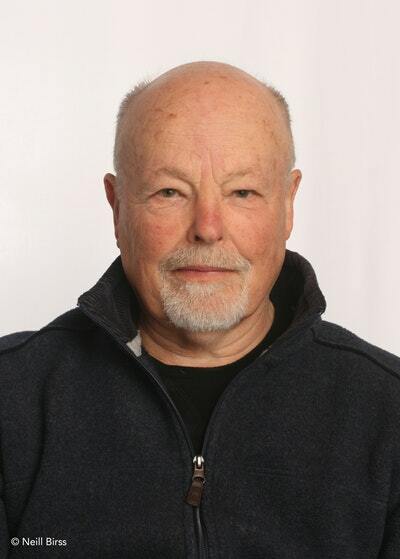 Our young journalist, Neill Birss, moved away from Invercargill and the interviews he had typed out were never published. In fact, they were lost during the move and only resurfaced under strange circumstances many decades later. Here they are in this book – the lost interviews with Burt Munro, legendary Kiwi motorcycle rider – his voice as fresh and his stories as vivid as the day he told them to the young reporter. Neill Birss' thought his interviews with Burt Munro, legendary Kiwi motorcycle rider lost in the 1970s, never to be found – but they resurfaced under strange circumstances many decades later. Here they are in this book, Munro's voice as fresh and his stories as vivid as the day he told them to the young reporter. 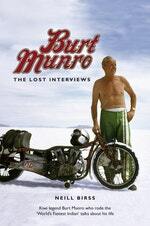 Love Burt Munro? Subscribe to Read More to find out about similar books.